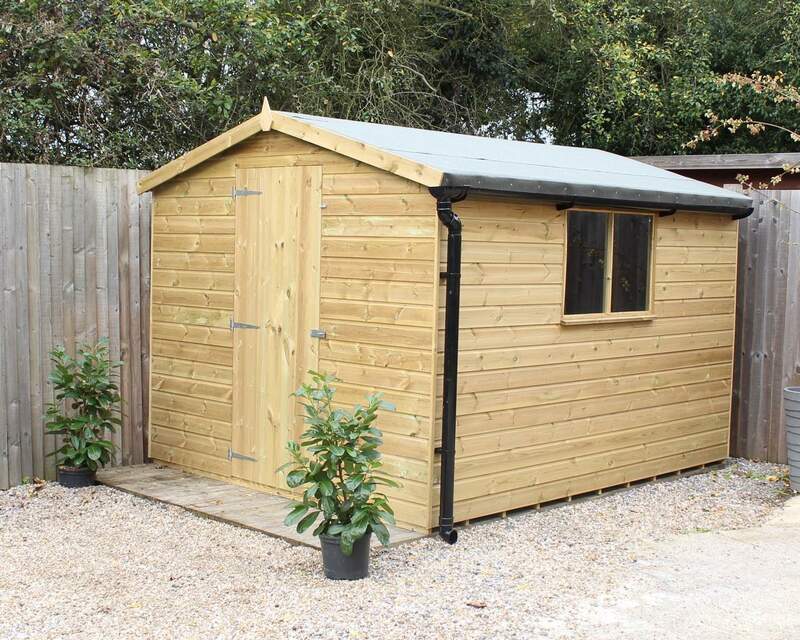 Our range of 6 by 4 sheds have been beautifully crafted using the finest quality timber right here in the south-east of England. 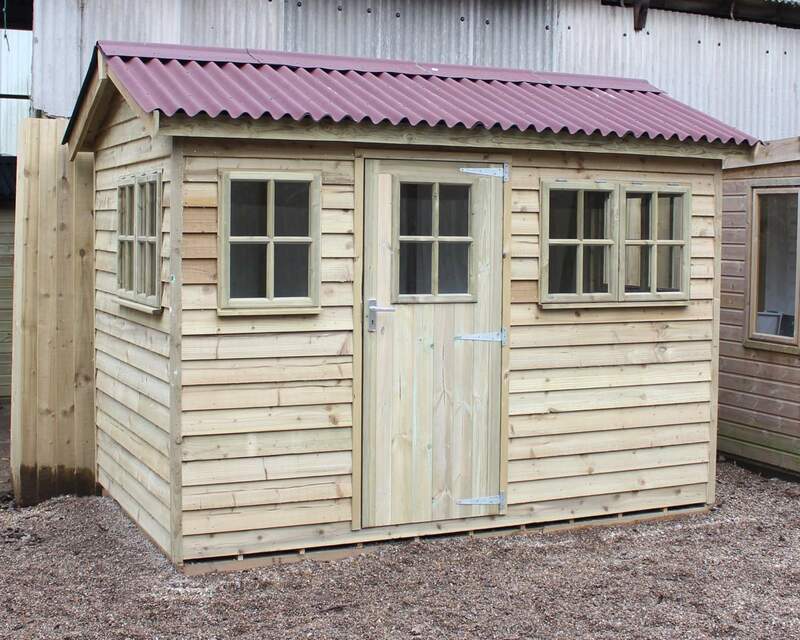 Our expert team at Ace Sheds manufacture our sheds on site so we can focus on attention to detail and quality check procedures. 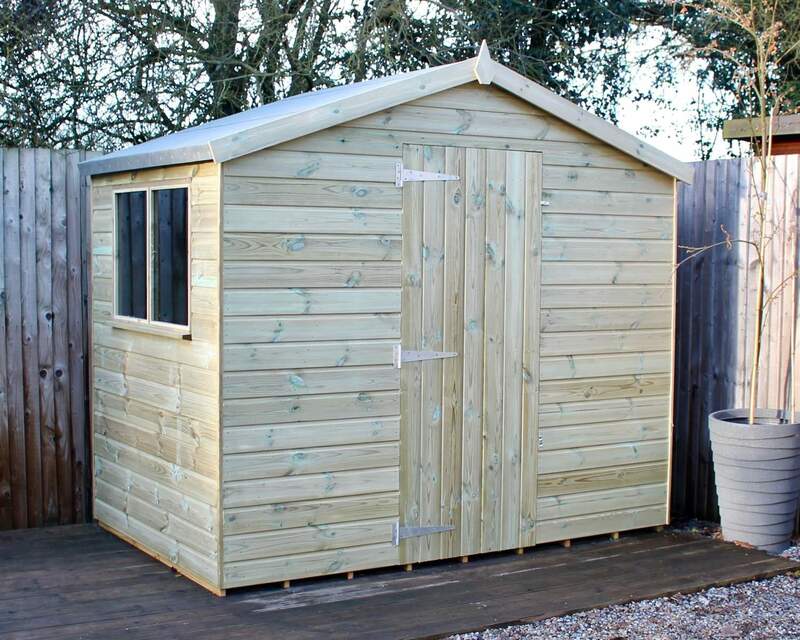 So whether you’re based in Kent, Essex, Sussex, Surrey, London or Middlesex we can manufacture and deliver quality 6x4 wooden sheds to any of these areas. 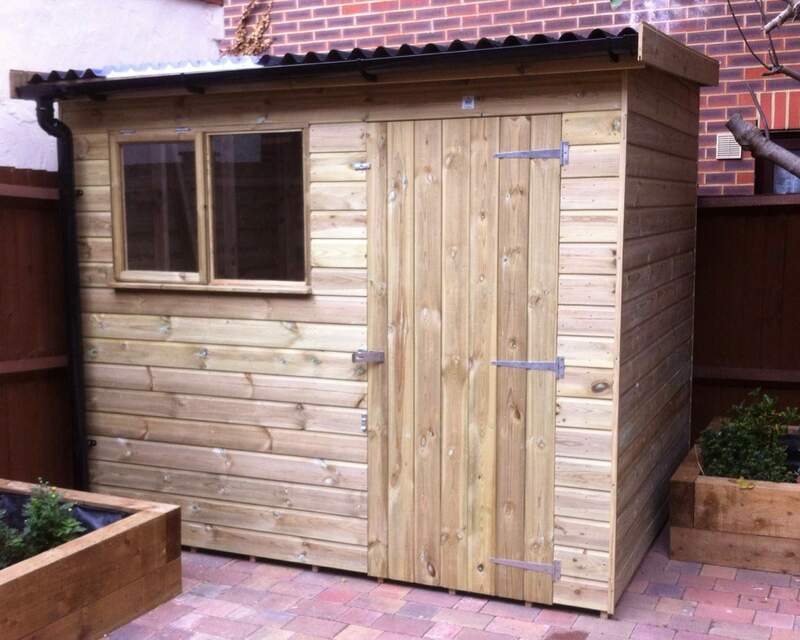 A 6 by 4 shed can provide a plethora of space for many purposes including storage solutions for garden equipment and tools, or a relaxation area for the whole family to enjoy during winter and summer months. 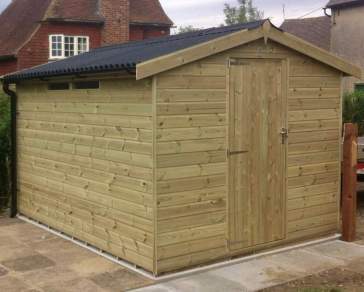 Our online customisation process enables you to create a totally unique 6x4 wooden shed that is suited to your needs and requirements. 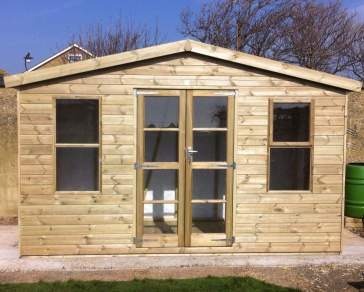 Features of our customisation process include altering the door and window position, selecting your door type and framing size, choosing cladding and felt, and selecting optional security extras. 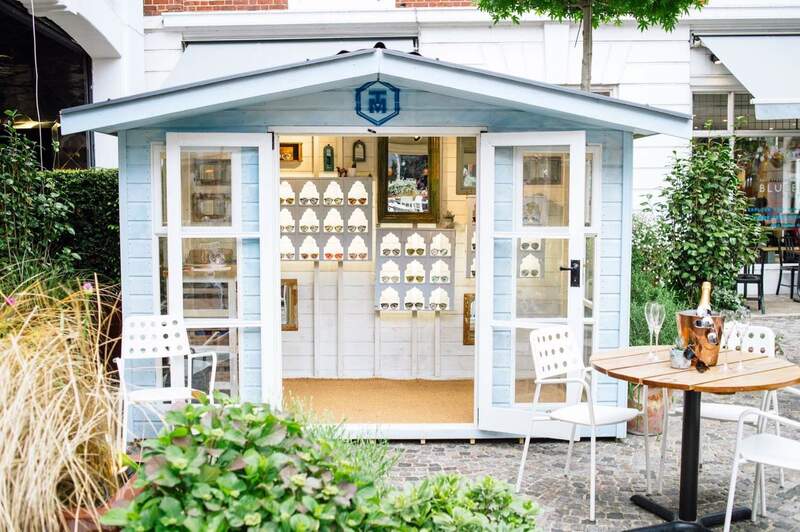 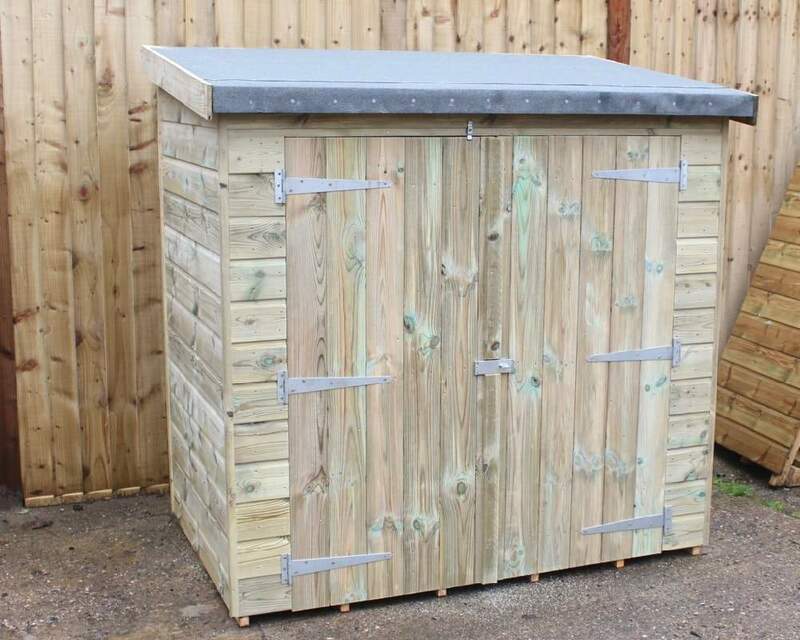 Simply complete our 11-step customisation process before checkout and tailor your shed to create something completely bespoke! 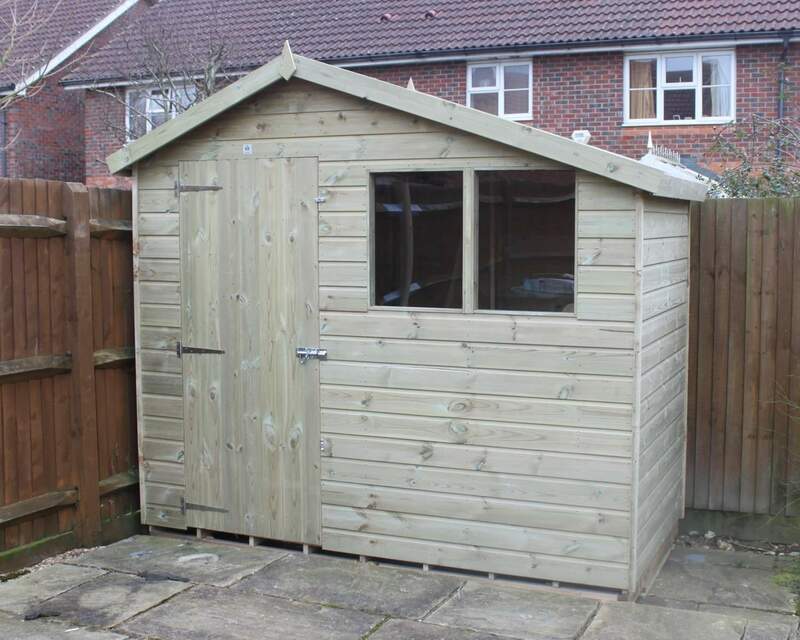 Each of our sheds at Ace sheds has been 100% pressure treated to prevent adverse weather condition from damaging your garden shed. 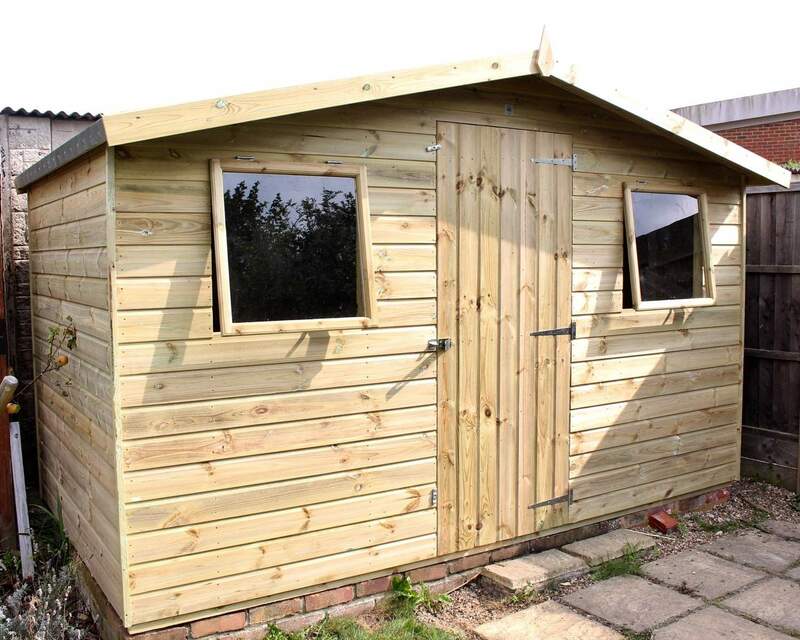 There is no need to worry about rot and decay, or your belongings inside from getting damaged, you can rest assured that your shed will continue to look great throughout the years. 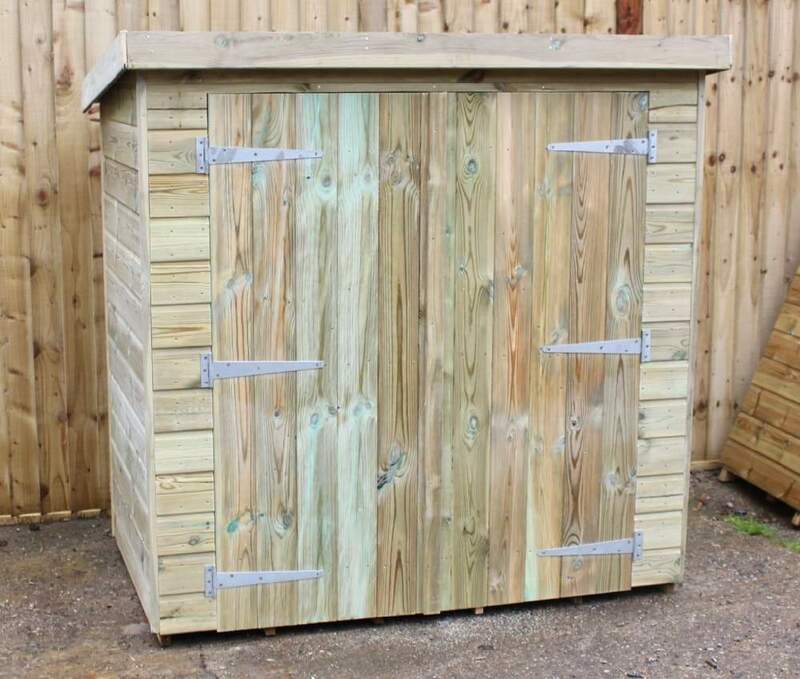 For more information on our bespoke service or what else we offer at Ace Sheds, please do not hesitate to get in touch with one of the team members. 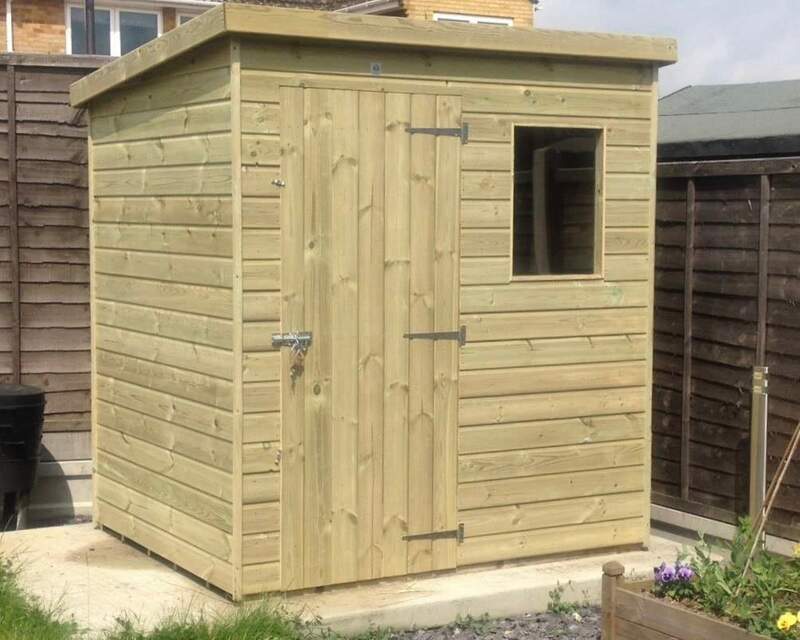 We can offer advice on a number of things, from how to build a shed base, to which size of shed is most appropriate for your outdoor area – feel free to pick our brands! 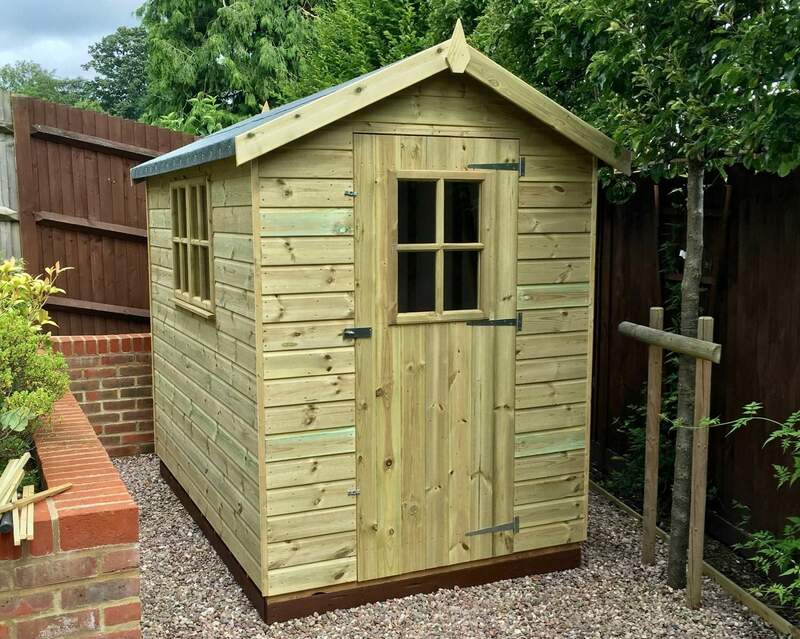 Kent, Essex, Sussex, Surrey, London and Middlesex can benefit from our expert delivery and installation service, simply select delivery and/or installation during checkout and receive your shed in a timely manner and have it expertly erected too!